Andy Warhol is, unmistakably, one of the best-known artists in history. Since he had appeared on the New York art scene in the early 1960s until his death in 1987, the artist continually explored, experimented and searched for new formats, solutions and motifs. Namely, Warhol quickly constructed his signature Pop aesthetic and was very good at understanding how to sell his artworks, but also to remain autonomous and engaged with noncommercial ventures such as his films. However, during the 1980s he released an amazing silkscreen series of endangered species; those were actual portraits of animals done in the same manner as ones of celebrities. Those works show his love for the wildlife, as well as awareness about the serious animal extinction tactics on a global scale. 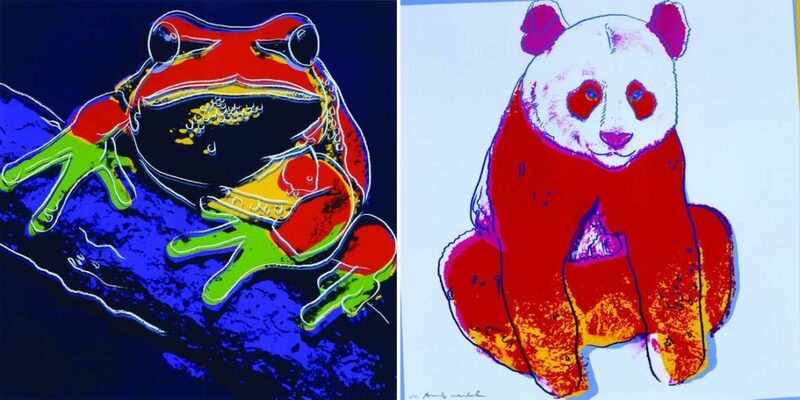 In order to examine these works and their place in Warhol’s oeuvre, as well as to commemorate the 90th anniversary of the birth of the artist, The Ukrainian Museum decided to release an exhibition simply titled Andy Warhol: Endangered Species. The beginning of the 1980s on a global scale was welcomed with skepticism due to the increment of various social and political issues. Reasonably, as the consequence of the civil rights movement and the antiwar campaign of the late 1960s and 1970s, the environmental movement grew so the public space also became an arena of the struggle for animals rights. Andy Warhol was very interested in this topic and as a reaction, he decided to create series of rainbow silkscreens depicting the examples of near-extinct animals around the world. 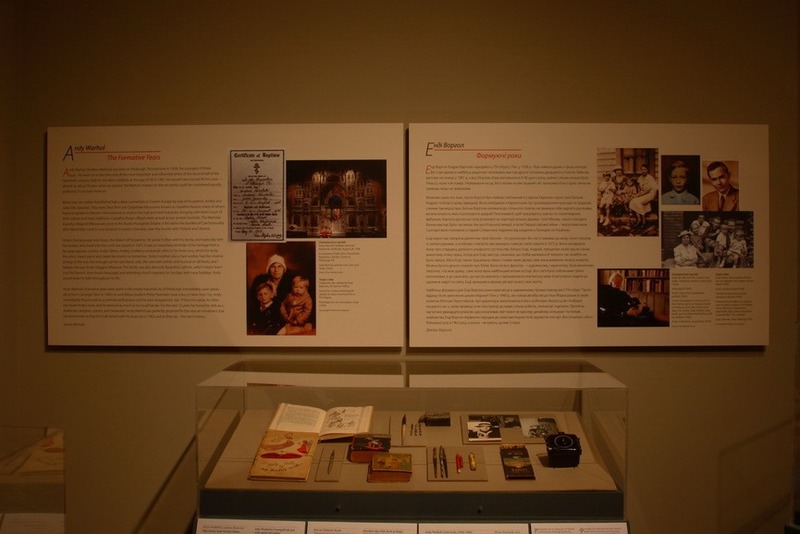 The exhibition is curated by a team of scholars consisting of Alexander Motyl, Professor of Political Science at Rutgers University – Newark, NJ, Jaroslaw Leshko, Professor Emeritus of Art at Smith College in Northampton, MA, Adam Harris, Ph.D., and Joffa Kerr who is a Chief Curator of Art at the National Museum of Wildlife Art. A special contributor is an artist, writer, book illustrator, and Warhol’s nephew James Warhola. Andy Warhol has been studied as an artist, designer, writer, filmmaker, publisher, and even as a philosopher. He’s been called a genius, an idiot savant, a provocateur, and a fraud. His admirers emphasize that he revolutionized art with his Brillo Boxes, silkscreens, flat surfaces, and bold use of color. His detractors claim that he cheapened art by commercializing it. 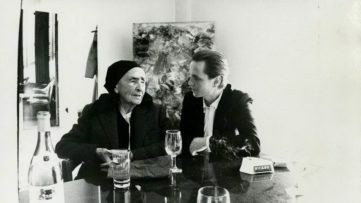 But the trend-setting New York avant-garde artist was also, above all, a shy boy of Slavic peasant stock who was born and raised in a deeply religious and cloistered Eastern European community in Pittsburgh. The ten silkscreens all made in 1983 (Bighorn Ram, Black Rhinoceros, Grevy’s Zebra, Orangutan, San Francisco Silverspot, African Elephant, Bald Eagle, Siberian Tiger, Pine Barrens Tree Frog, and Giant Panda) along with the silkscreen Sea Turtle made in 1985 will be on display. They will be followed by an additional segment focused on Andy Warhol’s early years growing up in Pittsburgh and the influence of the culture of his Carpatho-Rusyn origins. Several of Warhol’s early drawings, a few personal artifacts, and family photo prints will be on display to underline the importance of family heritage in the artist’s formative years before becoming the leading proponent of Pop Art and one of the most influential American artists. The art dealers Ronald and Frayda Feldman were the ones who proposed Andy Warhol to produce these works in order to reflect the difficult position of the species which were on a brink of extinction. Namely, the artist decided to present the animals in his typical vibrant manner meaning that they are now displayed as his popular portraits of celebrities. 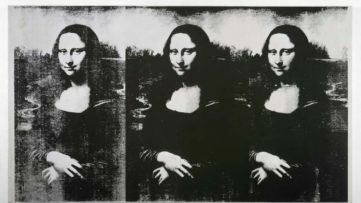 Interestingly so, after the prints were produced, Warhol decided to donate one hundred copies to various conservation organizations for fundraising purposes. Andy Warhol’s images of soup cans and celebrities are familiar to most of us, but fewer people realize that he also created a stellar portfolio depicting endangered animals, raising awareness about wildlife in need of human protection in order to survive. However we turn, this exhibition seems to be valuable in the context of broadening the story of Warhol only as an artist, entrepreneur, and a lifestyle guru, but also as someone interested in environmental issues which are in contemporary terms more than ever present. To be more precise, it can be said that even today, these works are some form of warning how humans treat other forms of life. Warhol’s career will always be defined by his seminal contribution to the avant-garde, as his vision guided and nurtured a generation of artists. Among his vast repertory of topics was a keen interest in animals. Thus, his response to the Endangered Species project was instant and generous. It represents his most sustainable exploration of the animal theme. The title of the series defines its mission: to acknowledge and celebrate the viability and variety of animal life, and to explore and expose the vulnerability, indeed, frailty of its existence. 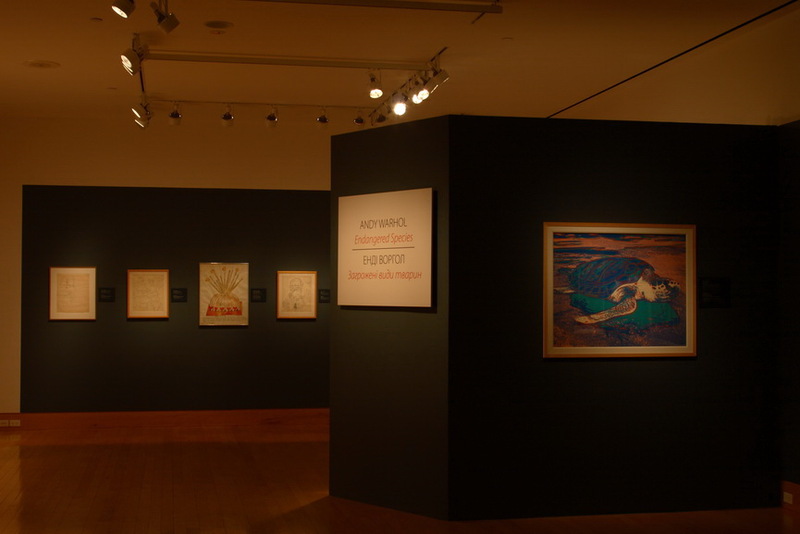 The first Warhol exhibition ever organized by a Ukrainian American organization is basically on loan from the National Museum of Wildlife Art in Jackson, Wyoming, and was released with a great help of the Self Reliance New York Federal Credit Union. 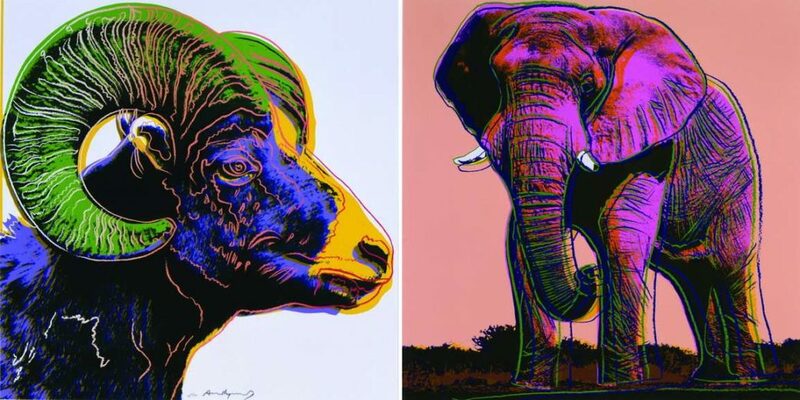 Andy Warhol: Endangered Species is on display at The Ukrainian Museum in New York and the audience will be able to see it until 17 February 2019. Published on the occasion of the exhibition “Andy Warhol: Endangered Species” September 18 – November 21, 2014. Published by Van de Weghe Fine Art. 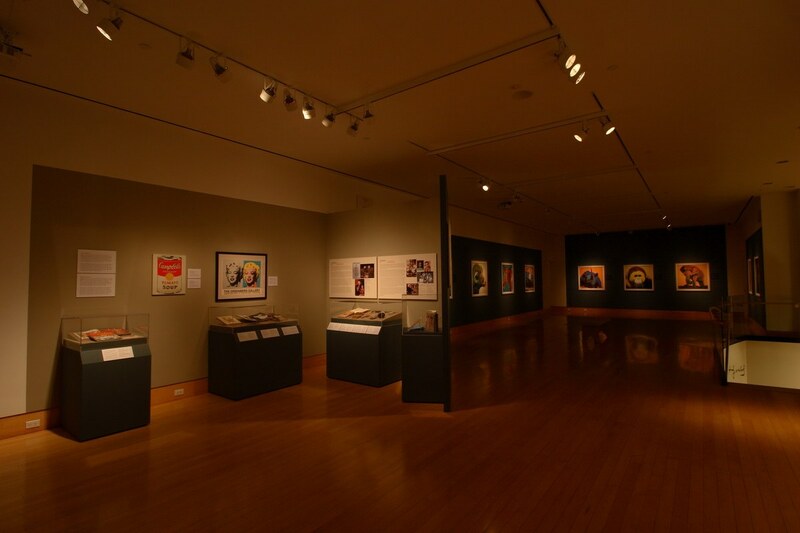 Featured images: Andy Warhol: Endangered Species – Installation views. 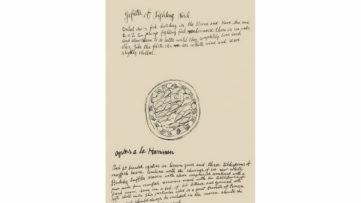 All other images are screen prints on Lennox Museum Board, 143/150, 38″ x 38″ (96.5 x 96.5 cm). Andy Warhol: Endangered Species (1983), on loan from the National Museum of Wildlife Art, Wyoming. Gift of the 2006 Collectors Circle, an Anonymous donor, and the Art Acquisitions Fund. ©2018 The Andy Warhol Foundation for the Visual Arts, Inc. / Licensed by Artists Rights Society (ARS), New York. Courtesy of Ronald Feldman Gallery, New York.